If you plan on opening up your own business or if you’re already running one, then it’s vital that you know exactly what it is that you’re supposed to be doing. That means everything from what kind of products and services your business should offer to how you’re going to market them. You can also read plan templates. So what you’ll want is something that will outline every aspect of how your business should operate in order for it to achieve success. And that’s why this article is going to give you all the information that you need to know about how you should create a business plan. For those of you who have yet to hear about this, then HVAC stands for heating, ventilation, and air conditioning. The main purpose of the HVAC is to provide both heating and cooling services to buildings. HVAC systems have become the required industry standard for construction of new buildings. So if your establishment doesn’t have proper heating, ventilation, or air conditioning? Then you’ll most likely be facing some serious problems in the near future. You can also read jewelry business plans. 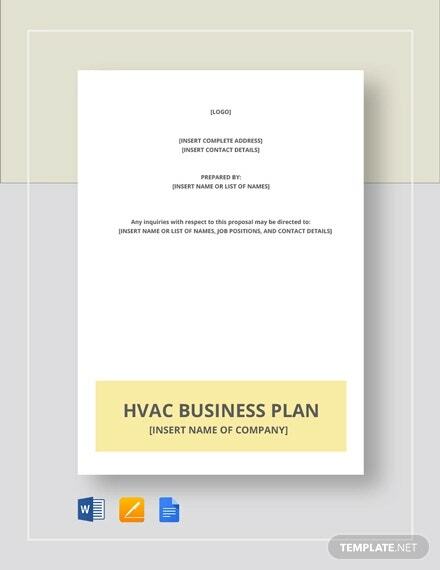 How to Make Your HVAC Business Plan? 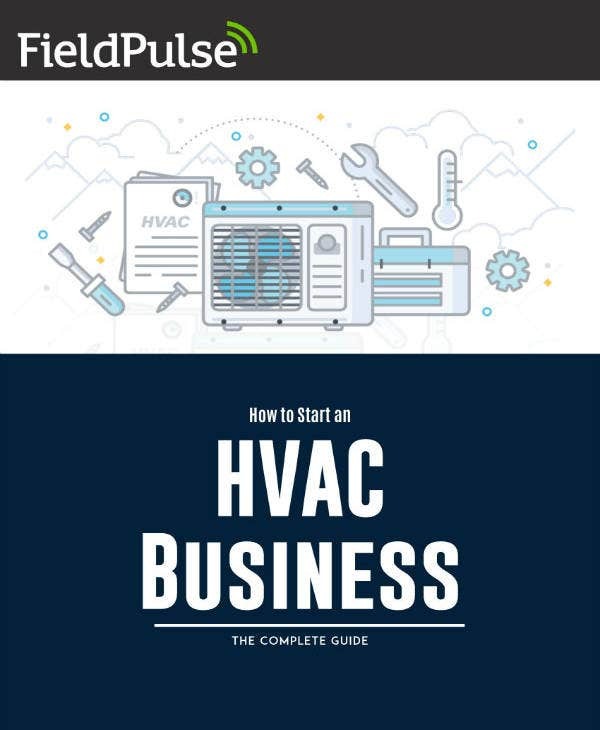 Now that you’ve learned what HVAC stands for and if you plan on running your own HVAC service providing business, then it’s best that you learn how to come up with the simple business plan. Again, the entire point of having the plan is so that it can outline everything that your business is supposed to be doing in order for it to reach the success. Although it will take a lot of time and thinking, it’s going to be well worth it if you know what you’re supposed to do. The first step when making the business plan is to understand and write down your business’s vision and mission statements. Both are incredibly important as they will determine the direction in which your business is supposed to be heading. By having them both, you’ll be able to see what kind of expectations you should set as well as what goals need to be reached to ensure that your HVAC business becomes successful. So what you want to do first is think about your sample mission statement. The best way to know what it’s going to be is to answer one simple question: What is it that your business is working towards? Since we’re talking about one mean for providing HVAC to different establishments, then your most obvious goal would have to be providing the best and affordable heating, ventilation, and air conditioning to your clients. Just make sure to phrase that in your own way. Also, if you have other objectives that you want to achieve alongside that, then best to include them as well. As for your vision, all you have to do is think about where you want your HVAC business to be in the future. How do you see it in a couple of years from now? Answer that and that’s pretty much your vision statement. The reason as to why you’re going to need it is because it will give you and your employees something to work and look forward to. This should motivate anyone to work harder towards reaching the business’s possible future. You may also see successful business plans. Once you’re done explaining your mission and vision, then the next step is for you to share your business structure. Basically, you want to point out all of the different departments and roles that are essential in helping the business achieve its overall mission and goals. This is where you’re going to have to go into detail regarding who you plan on hiring and why they’re so essential. You may also see bar business plan templates. For example, you’re going to need a CEO (Chief Executive Officer) that will run business operations smoothly. You’ll have to describe what the CEO’s duties and responsibilities are as this will serve as a means in which you can set expectations as to how they should perform. Also, it can be used as a guide the by the employee who has attained the role to remember just how important he or she is in contributing towards the business’s success. Just remember to point out the inner-working structure of your business and what different roles have to do. As with all startups, it’s important that you know exactly how much you’re going to spend in order to open up your HVAC business. This information isn’t just for you as your potential investors are also going to want to learn about it. If they see that your business is worth investing in, then most likely they’ll be inclined to put money in it to help you get started. You may also see restaurant business plans. So what you’re going to have to do is to figure out what you’re going to need in order to start. This can be anything from your operational costs for the first three months to the fees to get your business registered. Make sure that you create a list of all the different expenses and place the actual figures right beside each so that you can total everything with relative ease. You may also see coffee shop business plans. Strengths – This happens to be anything that can benefit your business and lead it towards success. You can find strengths in just about any area within your business, all you have to do is look for them. So what it is that you think that you have that your competition does not? Is it something that your customers are going to want? Or, maybe you have something that you do better than your competition? Basically, just answer those questions and you’ll be able to figure out what your strengths are. You may also see cafe business plan templates. Weaknesses – When you’re finished with figuring out what your strengths are, then the next step is to point out your weaknesses. Much like your strengths, these can be found just about anywhere within your business. What you want to do is figure out what weaknesses are in your HVAC business and find the most cost-efficient and effective solutions for them. You may also see free business plan templates. Opportunities – If you’re going to run a business, then it’s very important that you know exactly what type of opportunities you should be taking advantage of. These are basically anything that will help your business and introducing yourself to clients that you think will want what you have to offer. Just make sure that you end up taking advantage of beneficial opportunities rather than ones that will just end up as unnecessary expenses. You can also see personal business plans. Threats– And lastly, these are what can essentially harm your business and possibly even shut it down for good. Much like your business’s possible weaknesses, you’re going to have to find the best way to deal with them. A perfect example of a threat would be the other HVAC businesses that you will be going up against. So what you’re going to have to do is to understand your threats, gather information on them, and figure out the best solutions that will allow you to strategically handle them. You can also like freelance photography business plans. 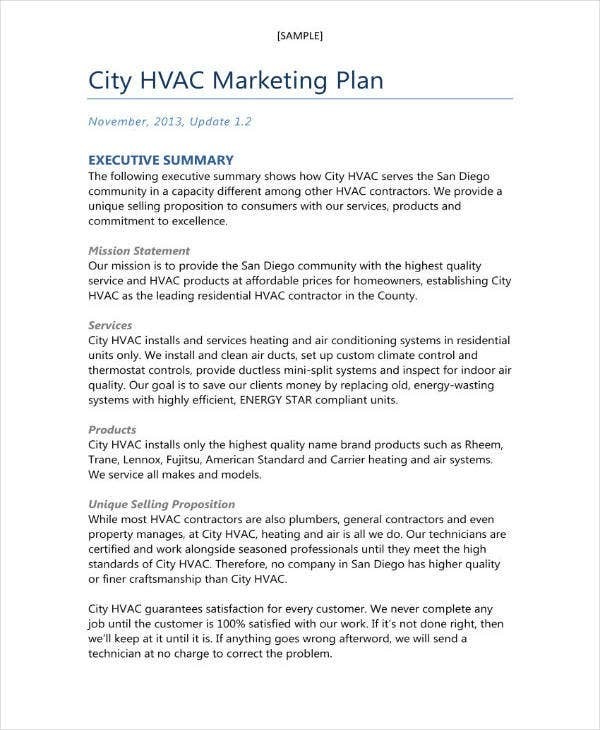 This is the section of the business plan where you will have to talk about the means in which you and your employees will go about in marketing your HVAC business. Basically, it’s where you’ll be sharing all of the strategies that you’ve come up with that will get people to know that your business exists, as well as making them want whatever it is that you have to offer them. 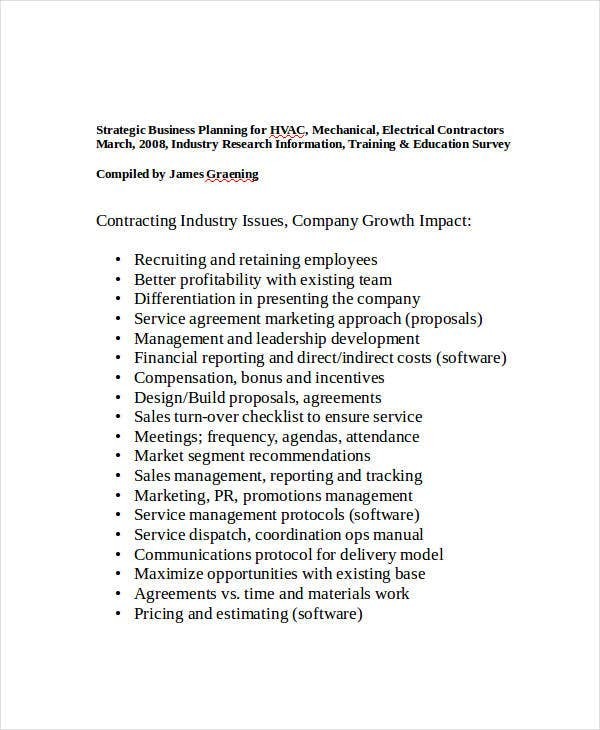 You can also read the consulting business plan. It’s here that you will be pointing out three important things: The marketing strategies you’re going to use, your target audience, and your promotional material. Make sure that you’re clear about all three as potential investors are definitely going to go through them. As for coming up with your promotional material, just ensure that you point out things your clients are going to want to hear like your prices and possible discounts. If you would like to learn about the other types of sample business plans that you could possibly make, then all you have to do is go through our site. It contains many different articles and each of them have the information that can help you out. Just make sure that you read them thoroughly so that you can make the most use out of whatever they have to offer.